My husband John and I are selling our home. A lot of things have changed since we bought it nearly 26 years ago. We bought using a Realtor and we are selling using a Realtor. Neither one of us feel qualified to wade through the paperwork involved, nor do we want the hassle of going head-to-head with a buyer when it comes time to strike a deal. Those are just two of the reasons it makes sense to let a professional guide you through the home-selling process. But the potential pitfalls don’t end there. A Realtor Saves You Time – Selling a house is time-consuming. A Realtor schedules all of the showings, appraisals and inspections. He will answer calls, respond to emails and advertise your home, not to mention handling the myriad of other small details that may crop up. Everything involved in a real estate transaction is time-sensitive so any delay can be costly and cause a deal to fall through. A Realtor Knows How to Price Your Property – To be successful as a Realtor, it takes years of experience, persistence and time. A good Realtor knows her territory well. Her focus is on specific locations and neighborhoods so she knows how to price a home according to the market standards. A Realtor Will Promote Your Property – There are a lot of out-of-pocket expenses involved in selling a house. Advertising alone could cost you hundreds of dollars per month. Listing with a “For Sale by Owner” company typically adds hundreds of dollars more to your costs with no guarantee of success. Advertising your home is part of a Realtors job. Plus, many Realtors already have a list of buyers looking for specific types of properties. A Realtor Ensures Security for Your Home and Family – That “for sale by owner” sign on your front lawn may attract a few curiosity seekers or even potential trouble-makers and some of them will knock on your door at all hours. You don’t want just anyone traipsing through your home. When you list with a Realtor, only those who are seriously looking will be brought in to see your house and she will always be there to ensure that the potential buyer isn’t walking out the door with your laptop. You already have a full-time job. Do you really have the time to do all that should be done to sell your home as quickly as possible and for the best price? “Sadly, I see homes being sold without representation that sell for tens of thousands of dollars less than the seller would have pocketed, but they feel like they won because they saved commission,” Kukurudza says. 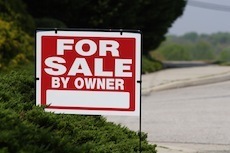 The only time I saw that it was better to “sell by owner” was in the heyday of the real estate bubble, but then you’d trigger a bidding war simply by staking a “For Sale” sign in your yard. You’re absolutely right. A realtor provides a a much needed buffer during an already stressful time. I found that when I was going through the process of buying my house, my agent helped a lot with negotiations, streamlined paperwork, and filtered/clarified a lot of information for me.